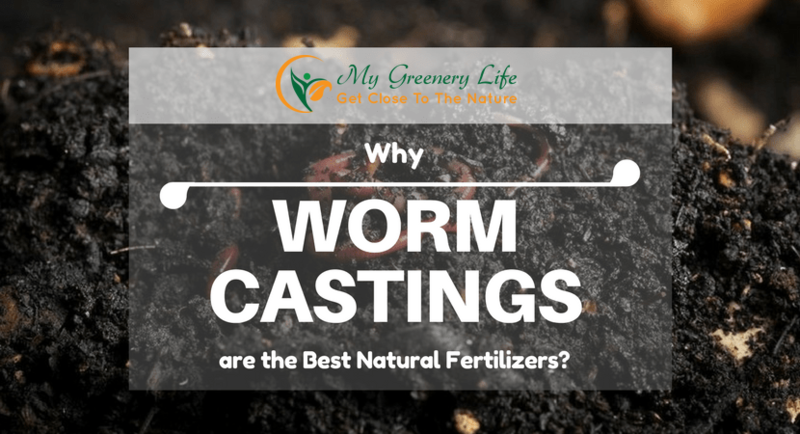 Why Worm Castings are the Best Natural Fertilizers? A tablespoon of worm casting provides enough nutrition to a small potted plant for more than two months. Worm casting is the best natural fertilizer, and it stimulates plant growth more than any other natural product. It improves soil texture and its water retention capacity. Unlike many other fertilizers and manures, plants can extract the nutrients from the worm castings quickly. It supports the root system by providing excellent stability and allowing enough movement to the developing roots. Vermicompost prevents many root diseases such as root rot from occurring as well. 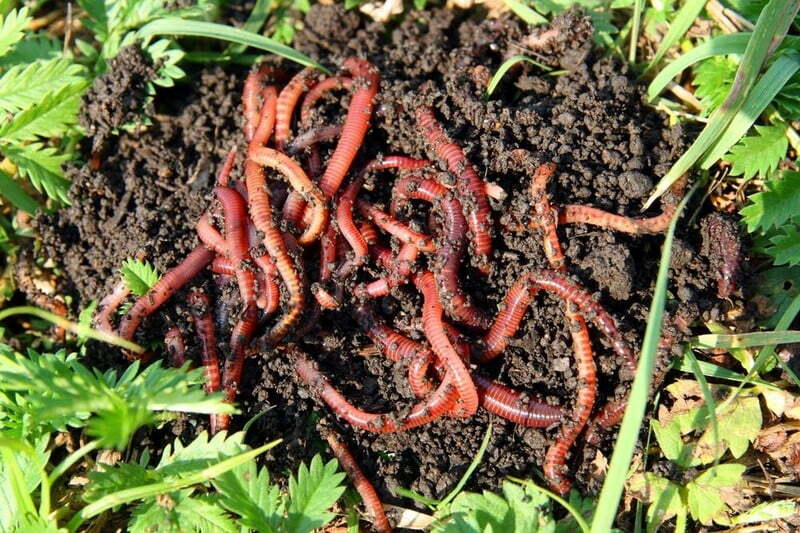 Worm castings or vermicast or vermicompost is essentially the earthworm waste or worm poo. This organic form of fertilizer contains a highly active mixture of enzymes, plant remnants, and good bacteria. Worm castings contain much more humus found in the top soil. The castings contain water-soluble plant nutrients, and they are packed with minerals essential for the plant-growth, such as Phosphorus, Magnesium, Nitrates, Calcium, Potassium, Zinc, Iron, Carbon, Nitrogen, Cobalt, etc. All these nutrients are readily available for the plant absorption. Chemical fertilizers and animal manures must be broken down first before the plant can absorb them. When the earthworms eat the organic matter, it moves through their alimentary canal. The bacteria in the alimentary canal transform it into a natural fertilizer with neutral pH. The organic waste is deodorized and neutralized. Worm castings don't smell anything like animal manure. They are odorless and smell like a forest after rainfall. A thin layer of oil from the gut of earthworms is deposited over the castings. It prevents the erosion of the nutrients while keeping them available for the plant absorption. The earthworms leave behind the enriched digested soil. The high nutrient content and beneficial microorganisms in the castings significantly improve the quality of the soil. High humus content in the worm castings improves the soil fertility and helps soil absorb and retain moisture. Hummus extracts harmful microorganisms and toxins away from the ground. Worm castings make the land more suitable for the plant growth as it becomes better equipped to fight off plant diseases. Worm castings create a pH regulating barrier between the soil. Balanced pH supports proper growth for the plants. Vermicast improves the water retention capacity of the soil. Good water retention makes the soil more fertile and needs less watering. The mineral clusters of the worm castings combine to withstand water erosion. Humic acid in the worm compost stimulates the development of micro flora in the soil and improves its fertility. Worm castings increase the Nitrogen content in the soil and decrease the acid-forming Carbon content. Worm castings add beneficial bacteria, fungi, biological organisms and growth regulators to the ground. The casts help in maintaining a healthy soil food web. They also contain beneficial fungus-eating nematodes that improve the soil's immunity against many infections. Vermicasts are completely natural and non-toxic form of fertilizers. They make the soil fertile while retaining its nutritional content and keeping the toxicity checked. With all the benefits of the worm castings, you might be tempted already to use them to grow your plants. 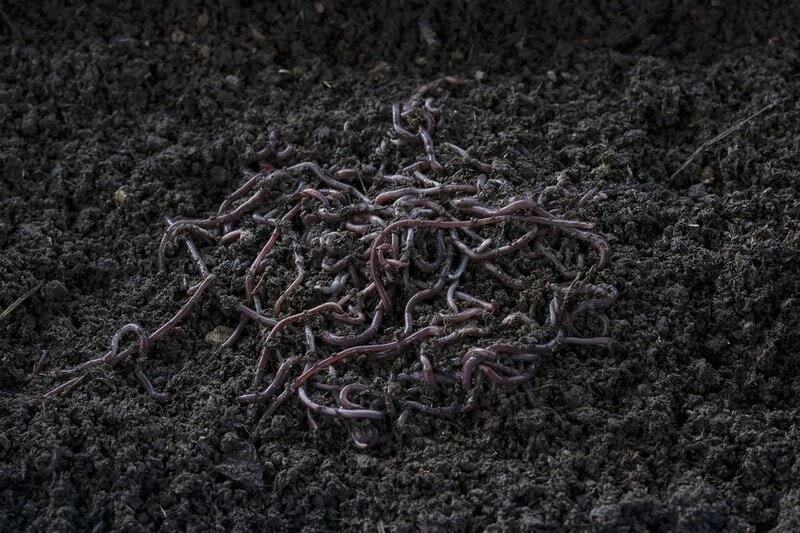 Worm castings are used in a variety of ways from the indoors to the outdoors, in containers, in the garden and many other places. You can sprinkle the worm compost around the base of your plants. You can also use a spreader to spray them on a large scale. To use worm compost as a liquid fertilizer, mix one cup of worm compost with a gallon of water. Let it rest for a week. 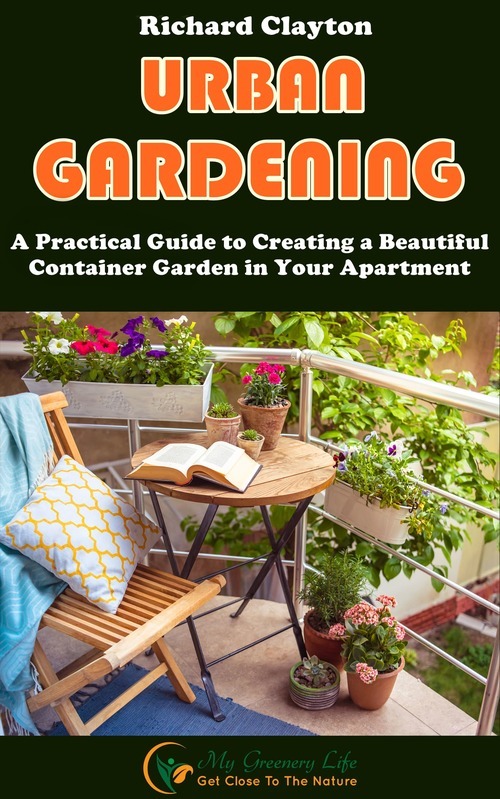 This liquid can be used in your garden, and it is also useful for controlling insects. It is an excellent soil conditioner, and you can apply it regularly in a moderate amount to maintain the fertility of the ground. Mix Worm casting with sand and use around one-third of worm casting in the mixture. It will help in the germination of the seed and provide enough nutrition to the seedling for many weeks. Use around 10lbs of worm casting for a 100 square feet lawn. Work it into the top two inches of your soil. Mix it well with your grass seeds and water as well. You can add a layer of worm casting to the compost pile to keep the composting action going well. 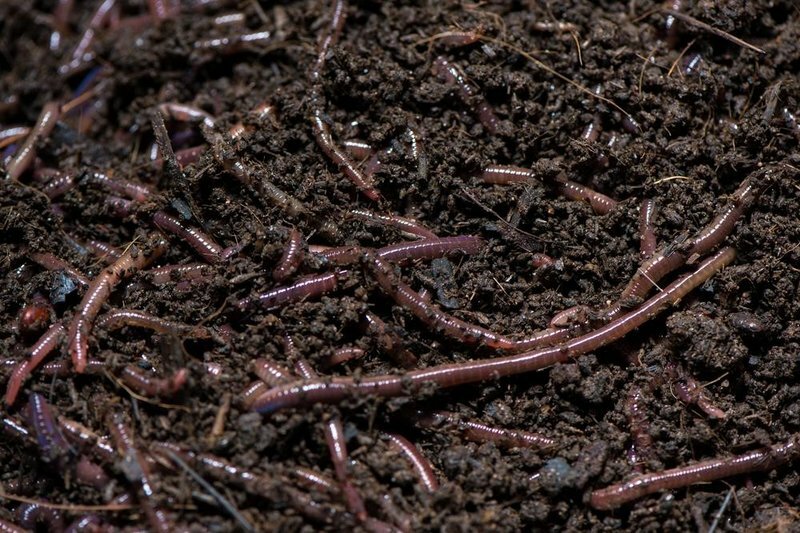 Add worm casting into the top few inches of your soil. Add it around the base of your plants as well. Worm castings don't burn the seeds or the roots of your plants. Dig a hole for planting. Mix three parts of the extracted soil with one part of worm casting. Surround the hole with the mixture. Add some of the soil mixture into the hole and wrap the roots of the plants in it. Fill rest of the hole with the remaining mixture. Add a few tablespoons of worm casting in a gallon of water. Strain the mixture after a day. You can use the worm casting tea to spray at the root and leaves of your garden plants or houseplants. What Do Worm Castings Do For Plants? Vermicompost improves the immunity of the soil against many diseases and parasites. It makes the ground fit for the plant growth by providing them protection against harmful microorganisms. Water soluble nutrients such as Nitrogen, Phosphorus, and Potassium are released slowly for the plants as they are encased in the mucus membranes. The plant roots absorb these nutrients easily. You can use vermicompost on all sorts of plants throughout your garden. As they are non-toxic and odorless, you can use them for your houseplants as well. Worm castings can fix heavy metals and protect plants against the damage caused due to excessive absorption of these metals. Vermicompost repels aphids, spider mites, whiteflies and many other pests. These pests feed on the plant juices, but enzymes present in the worm casting are injurious to the pests. Vermicompost balances the pH levels of the soil and allows plants to absorb nutrients efficiently. Worm castings provide more than sixty micro nutrients and trace minerals that aid plant growth and development. Organic material is reprocessed multiple times in the worm's stomach. Worms do all the hard work of breaking down nutrients into base components. These core components are the building blocks plants need for their growth. Worms take the help of microscopic bacteria for digestion. These helping bacteria remain active in the vermicompost. Soil bacteria convert Nitrogen compounds into a usable form for the plants. They accelerate the process of conversion of organic matter into absorbable nutrients. Worm castings keep the plants hydrated by retaining a high moisture content in the soil. Good hydration leads to faster development of the plants and prevents them from dying due to dryness. Plants can easily absorb the humic acid present in the worm castings. It acts as a natural growth stimulant for them. Unlike many fertilizers and manures that can burn sensitive plants, vermicompost is perfectly safe for any plant and doesn't burn them. Worm castings are packed with all the nutrients, good bacteria, and soil food web plants need for their growth. They improve soil structure, water-retention capacity and keep the pests and infection away from the plants. As Vermicompost is completely odorless, it is easy to deal with, and it has many advantages over other fertilizers. It is the best natural fertilizer available for your garden plants and houseplants.